Now there is no excuses for being too busy to eat breakfast! 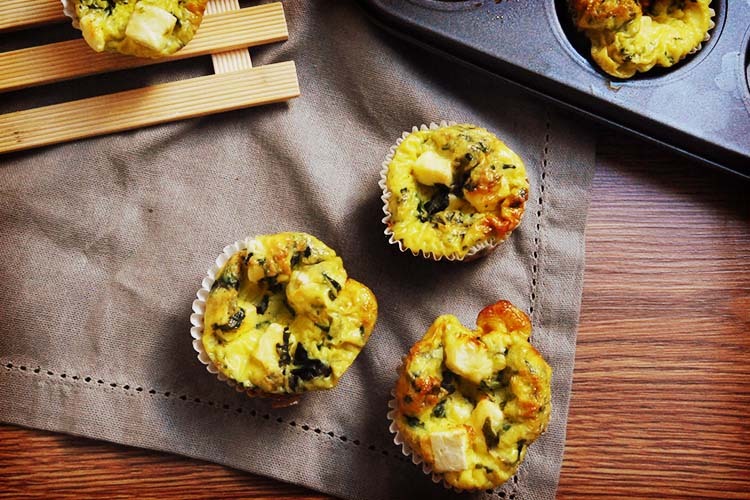 These breakfast muffins are quick, easy and will get you excited about eating breakfast. This recipe makes 6 muffins. Preheat the oven to 180 C, place 6 cupcake liners in a 6-cup muffin tin and lightly spray the liners with cooking spray. Whisk together eggs, Nuveg spinach, pepper and salt. Carefully pour the egg mixture between the 6 muffin cups. Add feta on each muffin and bake for 15-20 minutes until firm and lightly golden. Once cooled, you can store the egg breakfast muffins in the fridge. Enjoy! Preheat the oven to 180 ℃, place 6 cupcake liners in a 6-cup muffin tin and lightly spray the liners with cooking spray.